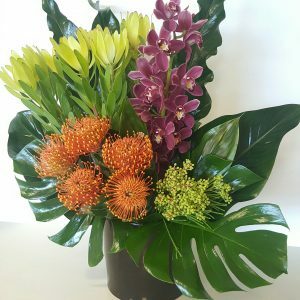 Code Bloom can provide corporate flowers to create a great first impression for your company's reception or boardroom, send flowers to employees and clients or create a spectacular floral display for your corporate event. 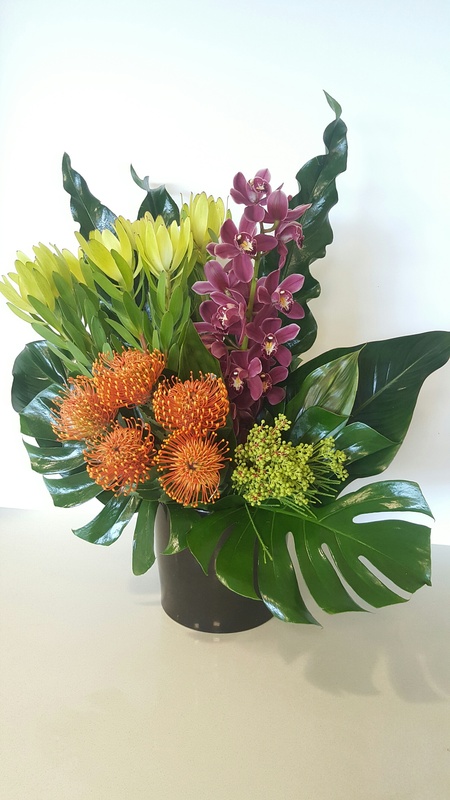 Code Bloom is a favourite supplier to several of Perth’s biggest corporate offices, hotels, banks, restaurants and cafes and medical clinics. 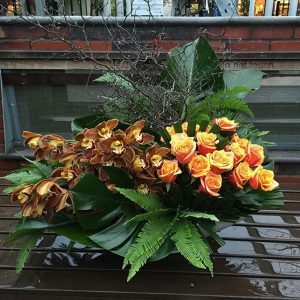 Weekly flowers can greatly enhance the presentation of your business and provide a warm welcome to your clients. 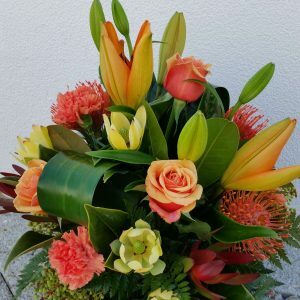 A weekly flower service can be provided to your business on a preferred day with delivery free to allow more flower value in your budget. 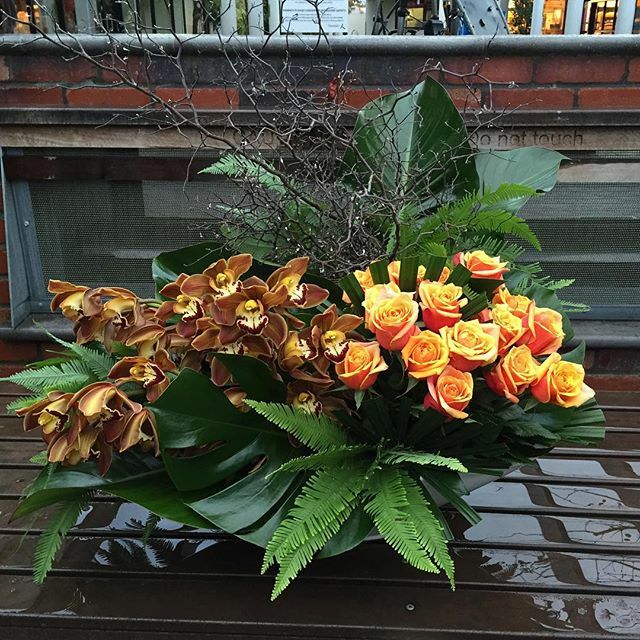 Each week we loan vases to you and collect and replace the vase and flower arrangements. 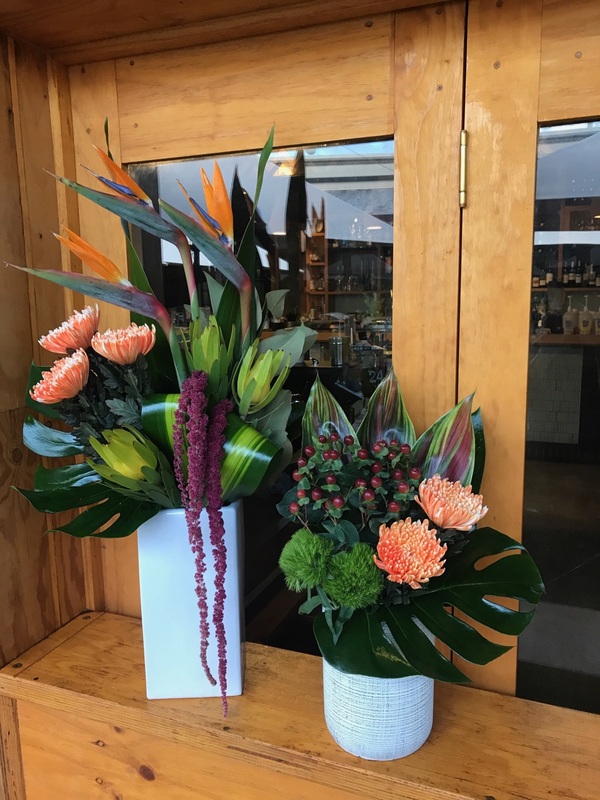 Our customised service means we can create arrangements specifically tailored to your needs, including flower choices and colours. 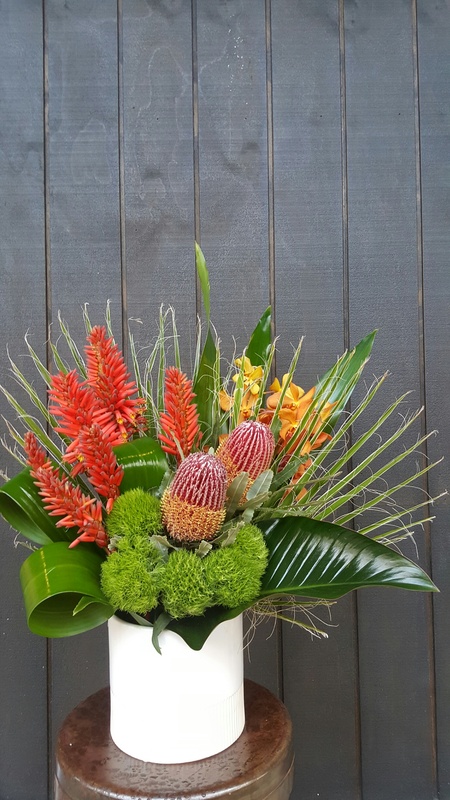 Code Blooms guarantees the freshness of flowers for the duration of the week as each arrangement is made with only the freshest of flowers available. Free consultations to discuss your requirements are available by contacting us on 9444 8604 or email. 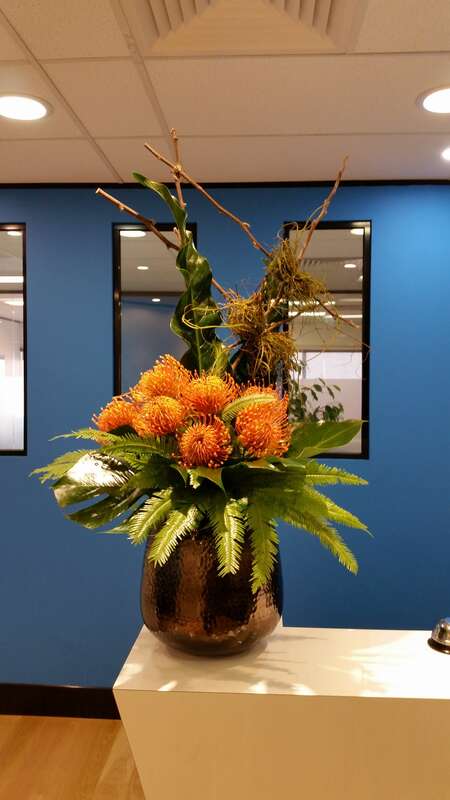 A brilliant display at reception is just part of the corporate service Code Bloom can provide to your business. 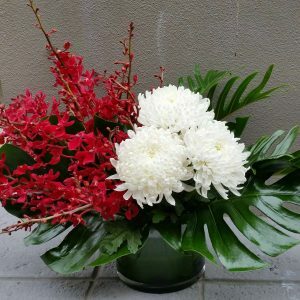 On top of this we can provide flower bouquets and arrangements to send to employees or clients, or other gifts including custom made gourmet hampers, wine or champagne, chocolates or plants. 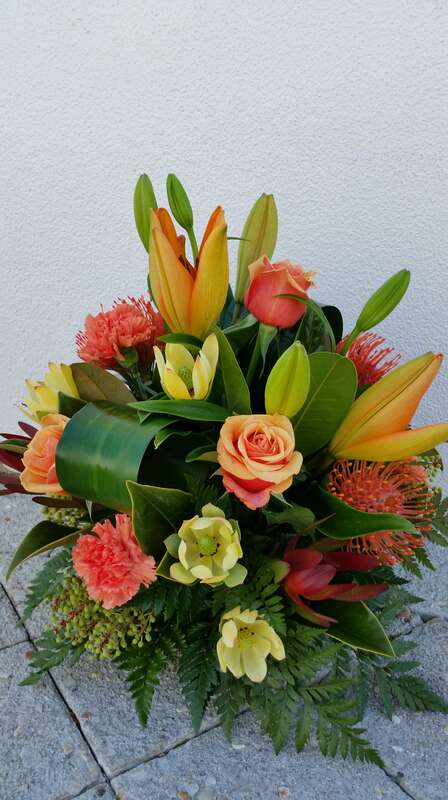 Same day deliveries of gifts are available Monday to Saturday. 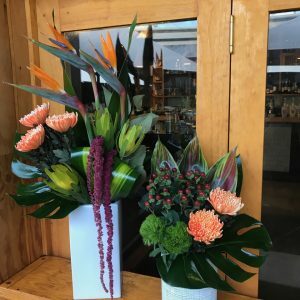 Flowers for other corporate events such as “end of year” functions, staff get togethers, presentation nights and boardroom meetings can also be arranged. 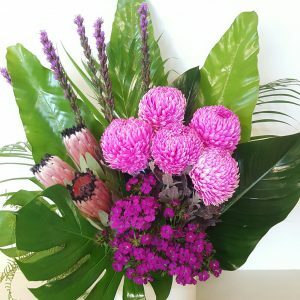 These can be tailored to your budget and specific requests. 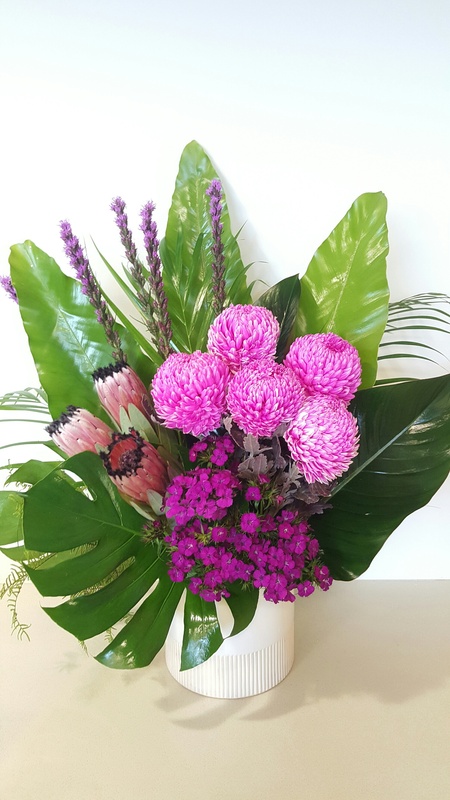 A common request for Perth corporate flowers is providing a low boardroom table centrepiece for important lunches, presentation or boardroom meetings. 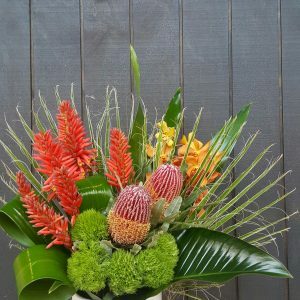 These can be arranged for a next day flower delivery into Perth or suburbs. 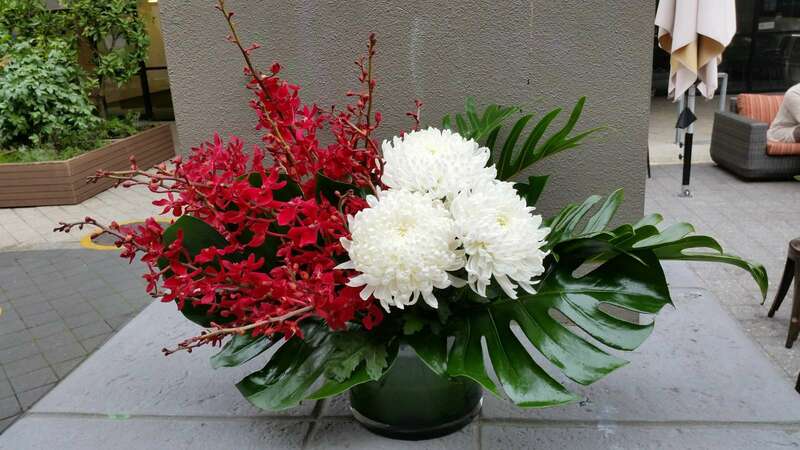 Whatever the size or budget of your function we can advise you on the best ideas to meet your expectations. 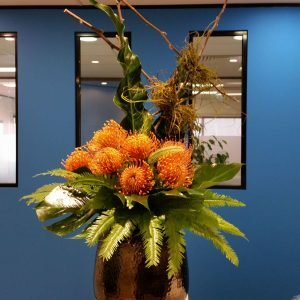 We are happy to pop in for a free meeting to discuss your requirements.